The end of 2018 sees a stark indie release that features two of the best performances of the year. Galveston stands atop this year's expansive array of crime dramas. When a hitman plots his revenge for a job gone wrong, his world is changed by a young woman he meets along the way. The concept is similar to many things we've seen before, but the delivery is a harsh reminder of how easily life can be changed in an instant when disastrous curves are thrown our way. 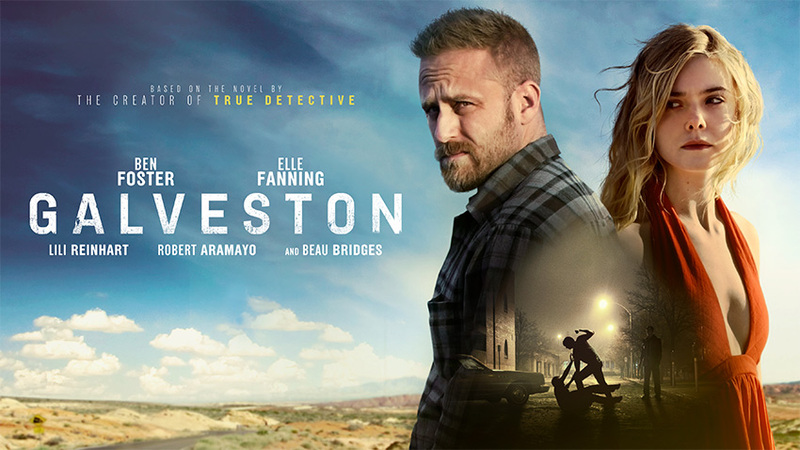 Featuring a noir tone that relishes in a calculated but mysterious character development and a brutally violent mindset, Galveston is a modern tale of redemption that pits a killer against his own set of ambiguous, if yet tainted morals. 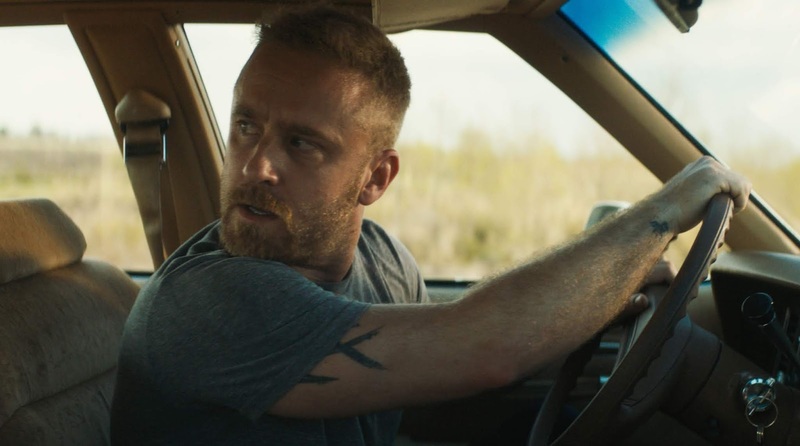 Ben Foster and Elle Fanning star in this crucial bit of down on your luck dramatics that's a reminder of a different time in film. We're immediately transported to the '80s and '90s when focus was more on connecting to the people we see on screen. There's an insane amount of depth to them, based on tangible but brief looks at their former histories. Although they are on screen characters, their strife is relative to experiences any of us could have. Sickness. Abuse. Alcoholism. And the desire to lead a better life all find their way to the surface in a movie that makes us sympathize with two damaged beings. Both are totally broken beyond repair and look to each other for some type of tranquility. Yet, peace is never quite in their range. Instead, the world they've chosen has more in store for them as they turn each new violent corner. Taking central escapist cues from Terrence Malick's Badlands, Galveston finds a range of dynamics that center on a dying criminal and the emotionally ravaged post-teen that's looking to escape her own reality. With Foster giving one of the best, powerhouse performances of his career and Fanning continuing to prove her worth as an angelic leading lady, Melanie Laurent's latest film project is one that should definitely be seen to be understood. With some absolutely stunning long shots and cinematography, the stage is set for a slow burn that's eager to make its audience uncomfortable but empathetic. This is not your typical modern Hollywood fare. Go in knowing that this is not some pretty affair where all is well. 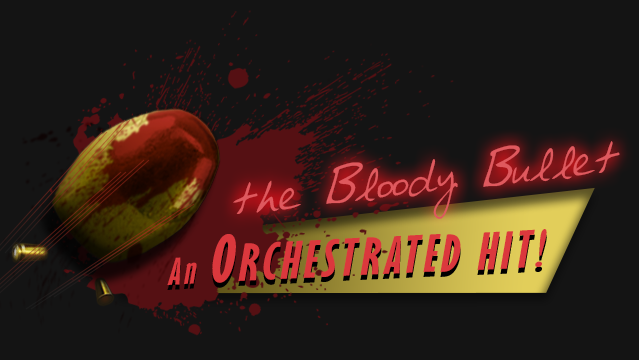 There are heightened scenes of brutality that are there to add to the absolute intelligence of the project. Nothing is done for the cause of doing it. Everything builds to a stunning crescendo that is noteworthy in Foster's ever expanding catalog of amazing roles. While Fanning's talents lend themselves to Galveston, it's truly Foster's mesmerizing transformation, both physically and mentally that makes this such an outstanding offering this year. If you're into crime dramas that have depth, this is the one for you.